This beautiful West Palm Beach condo called the Whitney was built in 2003. Suffering from unfortunate Chinese drywall, owners at The Whitney were required to leave the property while the building was to be gutted. The Whitney should be completely remodeled and gutted and made like new in 2014. Built during the real estate boom this West Palm Beach condo building, had Chinese Drywall in all but the first floor. With the building being completely remodeled, units will be like brand new, and are now starting to sell again before they are completed. 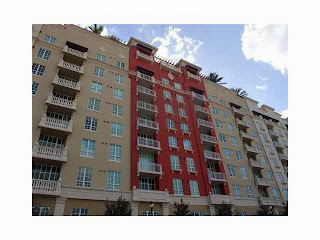 The Whitney is an 8 story condo building with 210 units located in the heart of West Palm Beach. The building is 1 block from City Place and 2 blocks from Clematis. Units are from 800 to 2100 square feet and offer city and Ocean views. The Whitney offers ground floor lofts that work as live work units, as well as one bedroom with den floor plans. The Whitney offers penthouse units with a rooftop terrace and amazing West Palm Beach views.